Online fee estimates for Dane County. 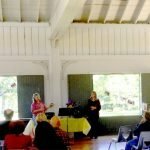 Call for other locations. Euthanasia Fees are based upon the distance traveled, the services requested, and the size of the pet. Price includes sales tax. If you live in Dane county, try the estimation form below. If you live outside Dane county please call or email us (we will need your pet’s approximate weight to give you an estimate). As you answer the questions below, our total estimate will appear at the bottom. Apologies, at this time we are trying out a fee calculator for Dane County only. For all other counties, mileage is a consideration to cost. Please : call or send an email for your estimate. 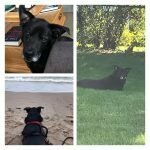 My pet has not bitten any animal or person in the past 10 days, and is not aggressive. My pet is aggressive or has bitten a person or pet in the past 10 days. Aggressive animals are handled by Dr. Hilst (only). Please talk to her directly by voice. This estimate is for Dane County for a cat that is not aggressive. *Private cremation is for the Silver Paws package provided by Memorial Pet Service; see: full descriptions of the cremation options. Please contact us for Gold or Platinum pricing. Our doctors will personally take your pet to Memorial Pet Services. You may pick up your pet’s ashes in Madison, or we can arrange to have them shipped to your home. 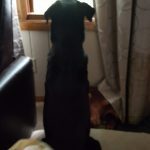 This estimate is for Dane County for a dog that is not aggressive. If the information provided in this form is correct, the pricing provided is an accurate representation of the costs of service with Journeys Home. Additional fees may apply if the pet's weight is incorrect or changes significantly prior to the appointment time. 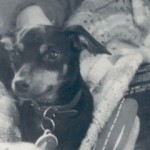 Thank you for reaching out to us at Journeys Home concerning your pet's health and quality of life. Unfortunately, our veterinarians are located in Wisconsin and are not licensed to practice in your state. 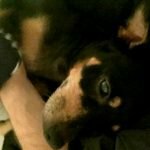 There is a nationwide database of home euthanasia veterinarians at inhomepeteuthanasia.com. We hope you can find assistance and resources in your area. It is always a difficult process to know when the time is right to say goodbye to your pet, and using the quality of life scale is an excellent first step in starting that conversation with a veterinarian in your area. We do not share your name or add you to any lists. Our doctors will personally take your pet to Memorial Pet Services. 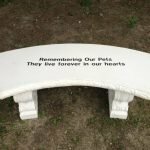 You may pick up your pet’s ashes at Memorial Pet Services in Madison, or we can arrange to have them shipped to your home. Cost for shipping and handling in Wisconsin is 32.00, out-of-state is 42.00. 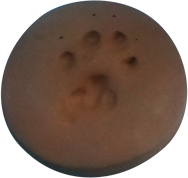 A clay pawprint of your pet is included with all home euthanasia.